The city’s top spots are always evolving, as old favorites go out of style and newly opened locales claim a loyal following. Whether you are in town for the art fairs or the beaches-or if you are lucky enough to call South Florida home-each of these locales will treat you like a local VIP. Mondrian marks the first hotel outside of the Netherlands designed by Marcel Wanders, one of Fast Company’s 2008 “Masters of Design.” Conceived by the famed visionary as “Sleeping Beauty’s castle,” Mondrian South Beach will allow residents and guests to live within a modern fantasy. Wanders inverts traditional design elements to create chic, dramatic living spaces. Exteriors will offer entry to a magical world, including an oasis of lush gardens that include a glamorous outdoor bar, private cabanas created with curtains of living foliage, and even a tented children’s space with a sandbox and toys. 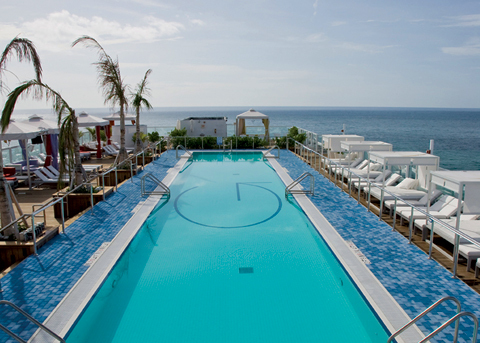 Mondrian will also raise the bar for poolside decadence with Wanders’ fantastical designs. The hotel will feature Morgan’s world-renowned agua spa and Jeffrey Chodorow’s China Grill Management will present the latest Asia de Cuba restaurant. 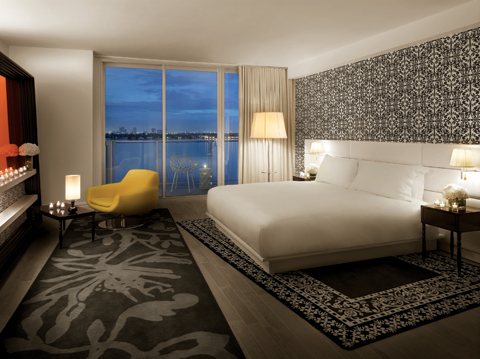 The hotel is slated to open its doors at the beginning of December in the midst of the Art Basel frenzy. he Mediterranean-inspired restaurant will offer a variety of simply prepared dishes that will be partnered tableside with a variety of rare sea salts, exotic spices, and condiments. 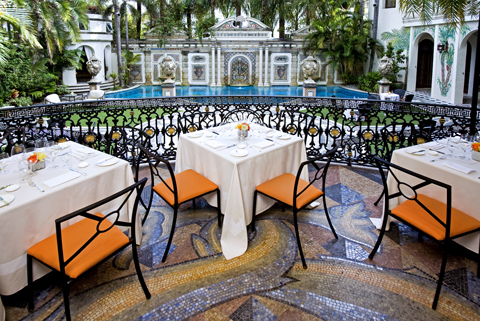 Rumored to be the second-most photographed house in the U.S., Casa Casuarina has long been an intimate haven for South Florida’s most discerning denizens. While the beautiful people lounged by the mosaic pool and roam the halls of the late Versace’s house, a throng of desperate outsiders stood beyond the gate, just hoping to get a glimpse at the glamour. Now, thanks to a new, open-to-the-public restaurant, gaining access to the hallowed home just became a tad bit easier. Owned and operated by Peter Loftin, Loftin’s 1116 Ocean will accept limited reservations for dinner and private parties from Tuesday through Saturday, 7 to 11 p.m. Diners will be seated on the front terrace, in the central courtyard, and by the beautiful grotto pool, but the stone-encrusted Medusa Room will remain open to members, celebrities, and invited guests only, continuing the private club’s aura of exclusivity. The Mediterranean-inspired restaurant will offer a variety of simply prepared dishes that will be partnered tableside with a variety of rare sea salts, exotic spices, and condiments. For four nights concurrent with Art Basel, gourmands can enjoy Fratelli Lyon’s special five-course tasting menu, featuring dishes prepared with both the exorbitantly priced and highly prized white truffles from Alba in the Piemonte region of Italy, as well as black winter truffles. The menu is priced at $325 per person, reflecting the rarity and astronomical prices commanded by the exclusive tuber. The meal is laden with decadent courses like soft cooked egg and Maine lobster with black winter truffle and truffle oil, and the roasted quail with black truffle mushroom stuffing, foie gras demi, grilled porcini and frisee salad. 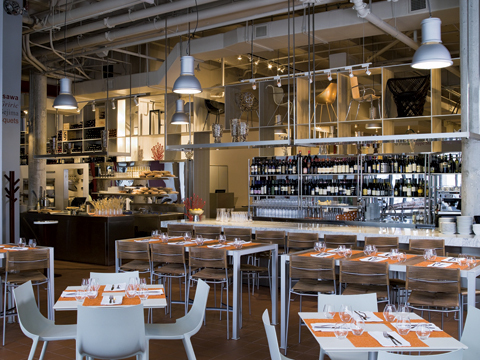 For an additional $100, the menu can be paired with wines from Fratelli Lyon’s exemplary wine list, featuring selections exclusively from the Piemonte region. 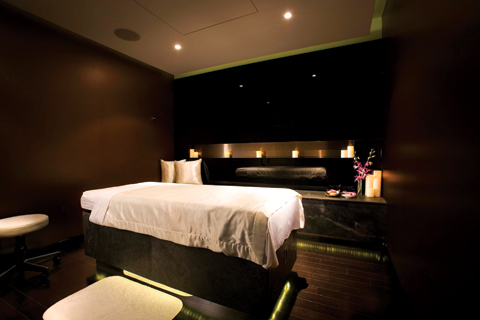 mySpa at the Intercontinental Hotel in Miami has just about everything you need to pamper yourself. This new, state-of-the-art facility with impeccable modern designs isn’t just any run-of-the-mill spa; mySpa is an innovative concept that allows guests to custom-tailor treatments to their liking. myEssentials is an à la carte service that allows patrons to add-on extras, anything from foot scrubs to incorporating hot shells. And since an hour-long massage may leave you slightly comatose, to help combat the sluggishness, the spa has a full-service fitness studio to rev you up before heading back to reality. If you prefer to stay in a state of Zen, the sauna, steam room, and waterfall shower help you ward off reality for a little while longer. As you make your way to the exit sign, be sure to peruse the onsite boutique stocked-full of exclusive products. Because what’s better than spending a day at the spa? Taking the spa home with you. As soon as it opened its doors in the spring, the rooftop lounge at the Gansevoort South became the place to see-and-be-seen amongst Miami’s elite social crowd. During the first week in December, the space will become a haven for an international artistic crowd. In partnership with The Guggenheim Museum’s Young Collectors Council, during Art Basel Miami Beach, Plunge will transform into an exclusive art lounge, displaying a curated digital art installation via 15 flat-panel televisions and one giant 20-foot by 40-foot wall projection. The area will also host a 5,000-square-foot VIP section throughout the duration of the fair, illuminated and furnished by Gandia Blasco designs. Many notable designers from the fields of art, architecture, fashion, and design will custom design large-scale rubber ducks (Gansevoort translates to “goose” in Dutch), which will be silently auctioned post-event in conjunction with the Guggenheim Young Collectors’ organization, with proceeds benefiting the Guggenheim YCC. And after the air frenzy subsides, Plunge will still be the most alluring place for VIPs to go for cool cocktails high above South Beach’s steamy streets. Inside the bright yellow tents in Bicentennial Park is a signature Cirque du Soliel world of wonder, complete with spinning chandeliers and flying performers. 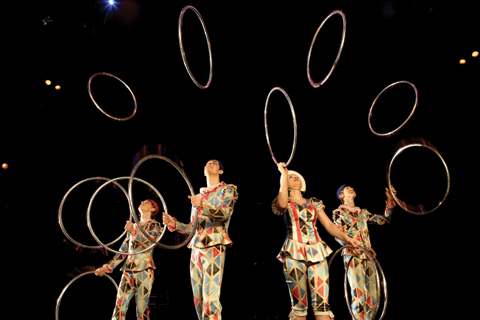 The traveling show, El Corteo, which premiered November 13, will run through December 21. While tickets begin at $55 for adults, for the ultimately indulgent VIP experience, opt for the Tapis Rouge package, which runs for $215 per ticket. Not only does this ensure reserved parking and the best seats in the house, it also provides patrons access to the exclusive suite prior to the show and during intermission. In the suite, guests will be bombarded with an array of mouthwatering hors d’oeuvres, fine wines, and refreshments (with desserts served during intermission) while they experience unique multimedia entertainment and original music, all in a stunning setting with a relaxed atmosphere. After beginning his career as the owner of a Lamborghini factory, Patrick Mimran switched to an equally haute field: multi-disciplinary art. Best known for his work on the Billboard Project, he will exhibit his series Temple Steps at Hamburg Kennedy Photography during Art Basel Miami Beach. The space is conveniently located across the street from Gary Nader Fine Art. 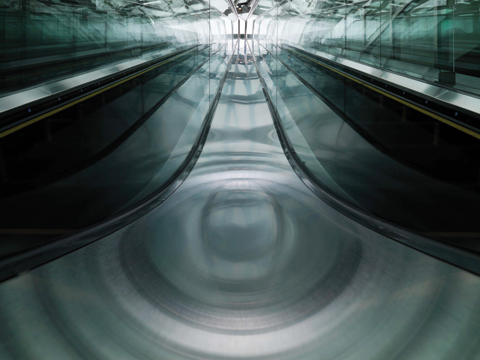 Mimran’s 8-inch by 6-inch photographs depict empty Tokyo escalators, and within the familiar objects, he incites a passage from one state of mind to another. He explains, “In this case, the escalator is there to serve the goal in attracting the observer to a specific focal point, and drive him to a change of visual and mental states.” In the process of looking at the familiar object in the photograph, the viewer discovers something different, that the object has changed, becoming strange and unknown. While making the tour of the art circuit, make sure to stop by and enjoy his unique look at the familiar. Goldman Properties has been revitalizing neighborhoods for more than 30 years. 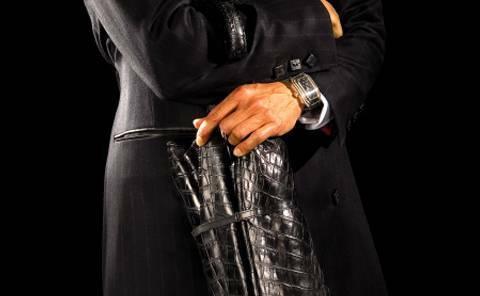 The company can be credited with the reinvigoration of New York’s Soho, the revitalization of Miami’s South Beach, the popularization of Philadelphia’s Center City, and more. The proven formula for successfully transforming an area into a happening haute spot is simple: open a restaurant that everyone wants to go to. Now, some 30 years after Tony Goldman opened his first restaurant that brought people in droves to Soho, his son and company principal Joey has started the movement to Wynwood Arts & Design District. After acquiring more than 20 commercial properties in the area and donating the Goldman Warehouse to MoCA, he has taken the next step in securing Wynwood’s tony future by opening the district’s first high-class eatery. The neighborhood is already infused with contemporary galleries and the site of Second Saturdays, a monthly art walk. Now art patrons can satisfy their culinary cravings with healthy, classic dishes made with fresh produce by local purveyors. During the bustling Art Basel week, Joey’s will provide a coveted sanctuary where festivalgoers can mull over a possible purchase while enjoying some classic Italian fare in a comfortable bistro setting. Throughout the first week in December, there will be a plethora of exhibitions, shows, and events-enough to make your head spin. One that you absolutely should not miss is the ultra-modern monumental sculpture representing an Asian abstract flower. The piece will be unveiled during the VIP preview party of Art Asia hosted by Mandarin Oriental Miami in partnership with the Guggenheim at 7 p.m. on December 3. 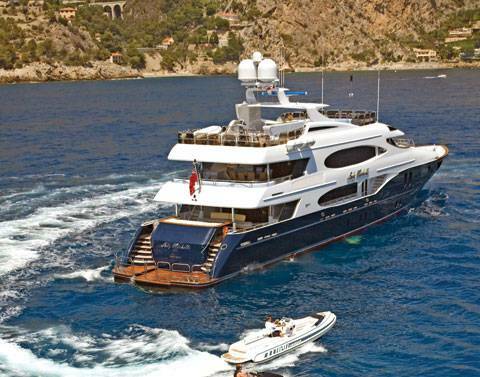 Guests will be provided with cocktails, hors d’oeuvres, entertainment, and an exhibition of Chinese contemporary art curated by MoonStar Fine Arts Advisors. The architectural maquette of Hidden Flower by Kiran Akal, a multimedia artist whose work spans architecture, music, live spectacle, and artistic installation (his 2006 Art Basel sculpture was selected among the top 20 of all pieces shown), will be on exhibition at the hotel. This spectacular piece stretches for 14 feet and weighs approximately 150 pounds. 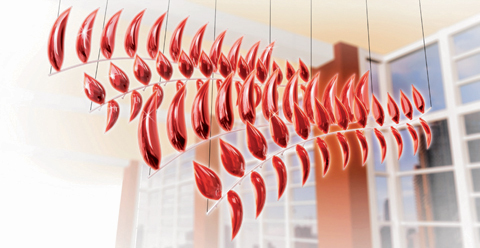 The clear, red acrylic petals are lit from a single source, providing a subtle and beautiful effect. The proceeds from the sale of the $30,000 piece benefits Voices of Children, and the commission of an original Hidden Flower is a tax-deductable $150,000. A world leader in beauty for nearly 200 years, Guerlain Paris has opened its first North American spa at the Regent Bal Harbor. The spa’s European-Indochinese setting is opulent and contemporary, and contains well-appointed men’s and women’s dressing rooms, lounges, and saunas. 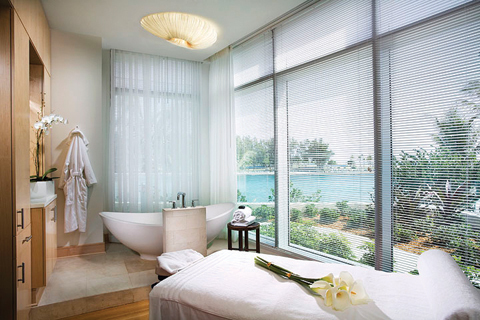 Against a background of white sand and turquoise water, guests can enjoy skincare and beauty treatments (such as pre-flight or jetlag prescriptions, or prenatal pampering) in one of the 15 self-contained ocean view suites, complete with marble showers and dressing areas. The calming and relaxing experience is entirely customizable, and includes Guerlain fragrances. The spa focuses on creating seamless stays, with features such as in-suite check out. After your treatments, don’t leave the property without exploring the hotel’s spectacular art collection, which features more than 400 works by 45 contemporary artists.